Gold, silver rally will be short-lived; downside risks persist. Four weeks into the third quarter of the year, global commodity markets are still groping for direction. A clutch of factors including demand and supply side issues, varying monetary policy stance of central banks, volatile exchange rates and geopolitics to name a few have created a sense of uncertainty. There indeed are concerns over global growth. In the coming months, communication from central banks especially in advanced economies will have a far reaching impact on commodity markets with potential effect on volatility. At the same time, economic data support the expectation of stronger growth in the second half of the year in developed economies even as slowdown in China is a real risk. How long and how far the Chinese authorities will tolerate the slowdown before taking action is still a key unknown. Weakening Chinese activity is surely negative for metal commodity prices. Be that as it may, global commodity prices in the first half of 2013 were at best choppy. Over the week, all precious metals, except palladium, gained. 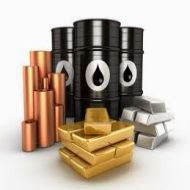 Gold was up 2.7 per cent, silver was up by 3.1 per cent, while platinum ended marginally higher. Gold:In gold, the net redemptions so far this year are an estimated 630 tonnes. Additionally, the third quarter is a seasonally weak demand period, especially in major markets such as India. The Indian government is keen to ensure that gold imports are brought under fuller control to address the current account deficit. According to technical analysts, gold momentum is bearish. 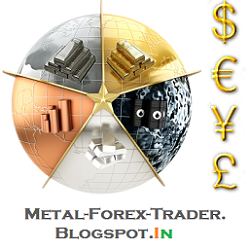 The metal faces resistance at $1,372 and then at $1,350 while support is seen $1,300 and $1,270. Base metals: Serious concerns over Chinese manufacturing cuts that would result in lower industrial metals demand have weighed on the market. Without doubt, the implications of slowing Chinese demand are likely to dominate the base metals market sentiment in the coming months. According to technical analysis, copper momentum is bearish. Resistance is seen at $7,120 and then at $7,035 while support may be available at $6,835 and then $6,600. Copper runs the risk of going toward the $6,750 area and then to range lows near $6,600. Crude: Recent rise in oil prices may not hold for long as weak demand caps the upside. Demand in key consumption markets such as China may slow in the coming months as currencies depreciate against the US dollar making oil imports so much more expensive in local currencies. Technically, the near-term downside risk to WTI is seen toward $103 and then potentially the $102 area, before signs of a base appear. Actual: Refers to the actual/latest figures after its release. 22-Jul-2013 01-00 PM European Monetary Union EU Foreign Ministers Meeting in Brussels. 25-Jul-2013 01-30 PM European Monetary Union ECB Publishes Monetary Developments in the Euro Area.